AN UNANNOUNCED INSPECTION of Stewarts Care in west Dublin by the Health Information and Quality Authority found that internal doors had been locked, which they said “impinged on the liberty of some residents”. 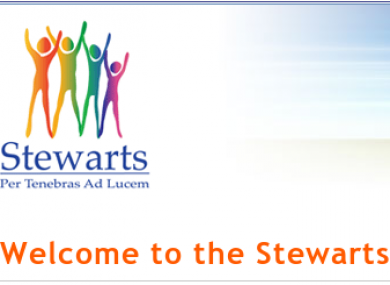 The unannounced inspection of the facility, which cares for people with intellectual disability, was made after allegations of abuse were sent to HIQA from Stewarts. The Authority requested the provider attend a meeting on 9 December. Prior to and during the meeting HIQA said in the report they “received comprehensive and detailed assurances that residents were protected. They were further advised that no staff subject to an allegation was currently providing care to residents and that a formal investigation of the matter by an independent investigator had commenced”. The next day, the unannounced inspection was carried out. According to the report, Stewarts has told HIQA that the practice of locking internal doors in the bungalow has ceased, that staff are aware that it is not permitted and that a review of locking of all doors in the bungalows will be completed in the next four months. was a moderate non-compliance in overall safeguarding arrangements for residents, despite policies and procedures were in place to protect residents and staff were trained in the policies and could articulate how to respond to abusive behaviour. HIQA found that there was a comprehensive policy in place on restraint which emphasised risk assessment and that restraint is kept to a minimum level and in accordance with best practice as a last resort. The report also found that personal plans and care plans were in place for all residents. However, some of the care plans “did not specifically detail the physical care interventions required to assist some residents, thereby creating the potential for inconsistent and inappropriate physical care of the resident” said HIQA. The audit stated that the majority of residents could not articulate their needs. However, residents who could communicate indicated that they felt safe. “A number of relatives spoken with also indicated that their child received good care and that their quality of life had improved since attending the centre,” it was cited in the report. The report cited that some staff members were unsure of the procedure of reporting of abusive behaviour, with HIQA stating that it required improvement. respect and warmth,” said the report. Email “HIQA report finds internal doors in disability care unit locked”. Feedback on “HIQA report finds internal doors in disability care unit locked”.